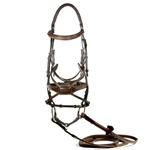 The stylish Federica Bridle combines Nunn Finer's old world craftsmanship with a great modern design. 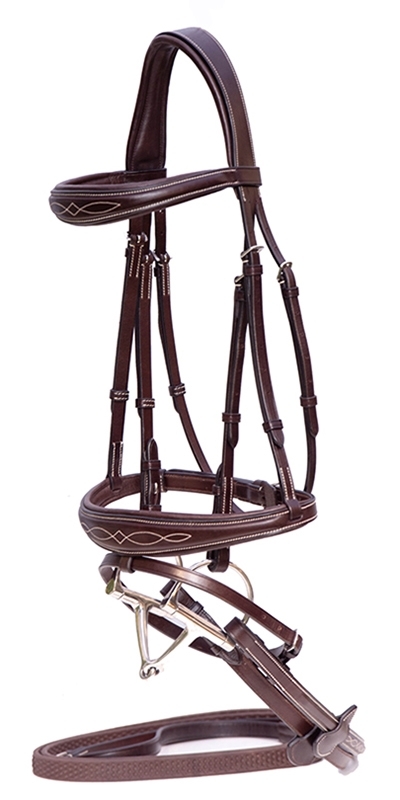 Made from premium Italian Leather, this bridle is padded throughout and incorporates a mono crown design to create a truly comfortable ride. 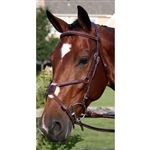 Featuring an anatomically shaped brown and noseband accented with lovely ivory fancy stitching. 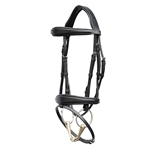 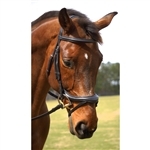 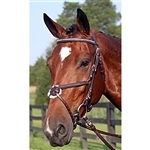 With a removable flash, stainless steel hardware and hook end closures this bridle will soon become your favorite. 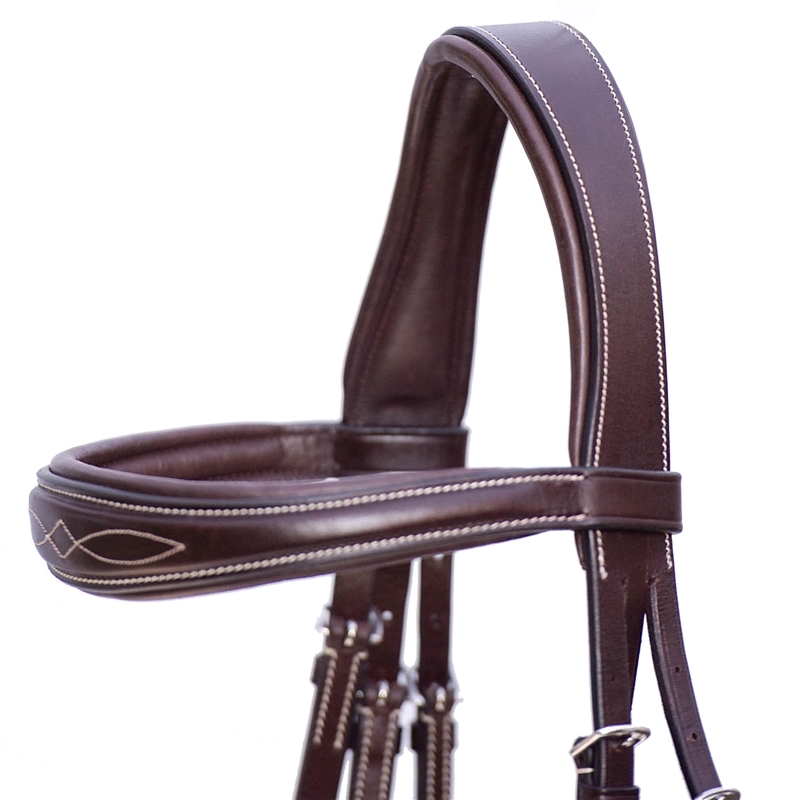 Matching raised and fancy stitched soft grip reins included.